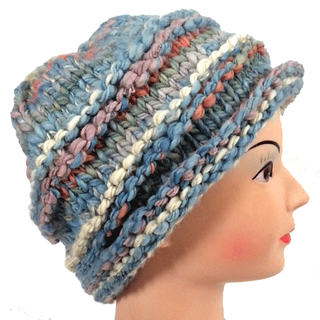 Knit in the round, this hat has easy garter stitch ridge details. 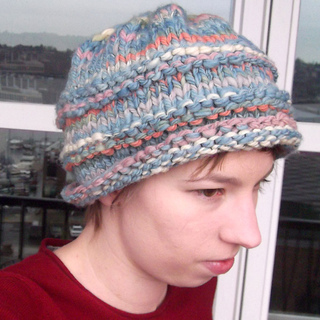 Omit them if you prefer a plain hat or substitute your favorite ribbing (Knit 2 purl 2 works well) for 6 rows on the bottom for a ribbed hem. Small/Child 18 inches around, Medium Adult 20 inches, Large Adult 22 inches. 3 stitches/inch. Do a gauge swatch to make sure you have the correct gauge.